A federal court insists it wants the Department of Defense to supplement the 2,100 pictures showing US military abuse of detainees in Iraq and Afghanistan with an individual reason for not making each of them public. Judge Alvin Hellerstein gave a week to the government on Wednesday either to submit a written estimate of how long it might take to comply with the August 2014 ruling and list individual exemptions for the disclosure of the photographs, or to appeal the court’s decision. “I have a feeling where we are at this point – to make up a phrase – at a line in the sand,” Hellerstein said, as cited by the Guardian. The photographs in question depict abuse at US detention facilities in Iraq and Afghanistan following 9/11 attacks. They are believed to be more disturbing than the notorious images of torture and humiliation of detainees at Abu Ghraib prison. The legal battle for making the classified cache of 2,100 abuse photos public has been led by the American Civil Liberties Union (ACLU) since 2004. The watchdog initiated the case after it was denied the release of photos under the Freedom of Information Act (FOIA). Hellerstein ruled in 2005 that the government had to make the pictures public. The ruling was supported by the Second Circuit Court of Appeals in 2008. The bulk concealment of abuse pictures is something judge Hellerstein believes wrong. That’s why he ruled in August 2014 that individual reasons should be given for the non-disclosure of each of the photos. The government has not complied, providing instead a general assessment of the photos, done by associate deputy general counsel Megan M. Weis. She sorted the photos into three categories based on the extent of injury suffered by the detainee, if a US service member was depicted and the location of the photograph. Weis then took samples from each of the categories and showed them to a group of senior military officials, who recommended that CIA Director Leon Panetta keep the images secret. “I could give you more time to satisfy my ruling...but I am not changing my view,” Hellerstein told the government on Wednesday, as cited by Newsweek. Hellerstein also offered looking through the images with the government, as a way of complying with the court ruling. 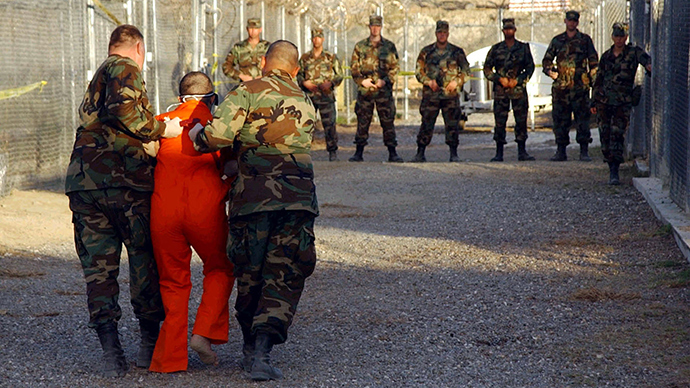 In December, the intelligence committee of the US Senate released report detailing the CIA’s use of torture on prisoners in the wake of the September 11, 2001 terrorist attacks. Sleep deprivation and the simulated-drowning practice known as waterboarding were listed among the so-called enhanced interrogation techniques used by the CIA. The report released to the public consists of only a 524-page summary out of the full 6,000-page document. It has most of the details blacked out, such as the names of those involved. The UN and major human rights groups have urged prosecution of those responsible US officials, listed in the Senate’s report. The Justice Department however said it would not pursue charges.